Join Tiana in a food demo of Vegan Chocolate Banana Ice Cream that you can make in minutes. This is a healthier alternative to store-bought ice cream. Tiana Hill is a 200-hour certified yoga instructor. Tiana started practicing yoga over a decade ago. Though, seven years ago her practice became a way of life as she was looking to deepen her understanding and grow on a personal level. Yoga keeps her balanced and emotionally at peace, most times! It is a practice! In 2012, Tiana left her corporate sales job to pursue her passion and teach full time. In her classes, Tiana fuses her Ashtanga background with vinyasa, creating a powerful flow with longer holds. 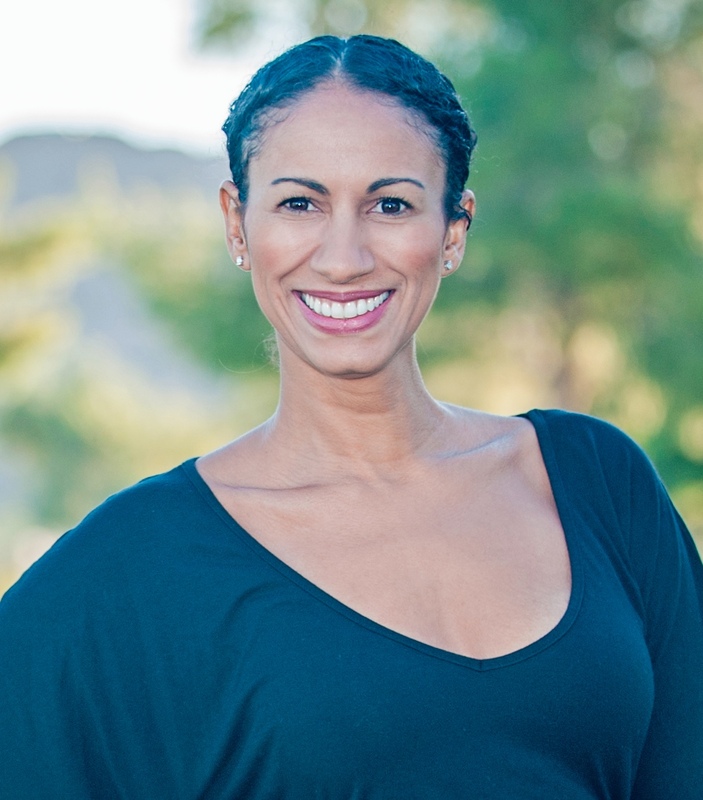 Tiana is a mother to two beautiful souls, a vegan for the animals, and a native Phoenician, where she enjoys vegetable gardening, and raising her menagerie that includes 2 dogs and 7 chickens!